El Dorado Acres is a single family home community located in Bonita Springs, Florida. There are no condominiums in El Dorado Acres. The community of El Dorado Acres is not gated and offers a mixture of homes and home styles as homes have been constructed over many decades by different developers. There are vacant lots available on the resale market to build a home, if desired. 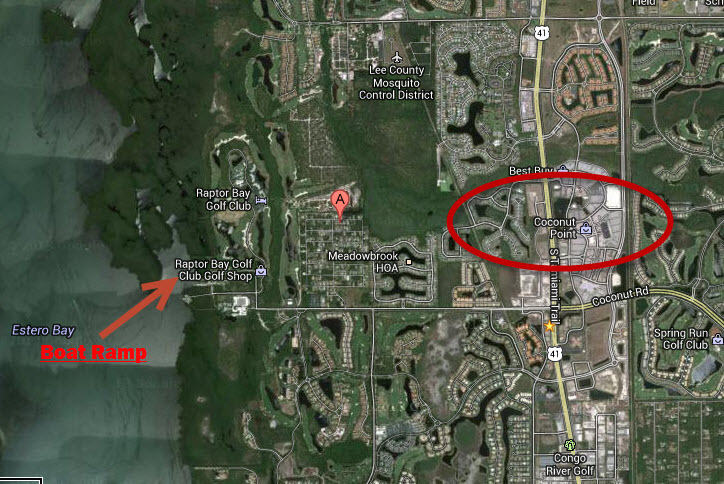 Other communities near El Dorado Acres are Meadowbrook, Coconut Shores and The Colony. El Dorado Acres has no amenities and very low fees as a result. El Dorado Acres is near The Hyatt Coconut Point Resort Hotel, Weeks Fish Camp and Boat Ramp and Coconut Point Mall is a five minute drive away.